The search for office partitions for your workplace can start and end with Reimagine Office Furnishings (ROF). Since 1991, ROF has been providing office partitions and all other types of office furniture to businesses that are looking for well-made office furniture at affordable prices. At ROF, we sell new, used, and refurbished/remanufactured office furniture, so our customers are able to choose office partitions that suit their personal taste and budget. In our 140,000-square-foot facility we carry a wide variety of options from leading names in the industry, including HON, Herman Miller, Steelcase, and Indiana Furniture. Moreover, since we offer used and refurbished/remanufactured furniture, you’ll be able to get name-brand furniture for up to 80 percent off the original manufacturer’s price. Turn to the company that businesses all over the nation have trusted to furnish their offices – Reimagine Office Furnishings. 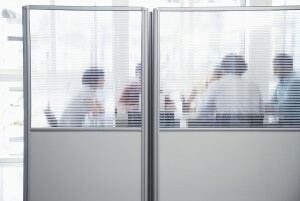 For more information on the office partitions we offer, contact us today.